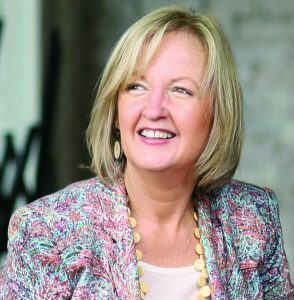 Jan is a highly regarded social entrepreneur, innovator, commentator and author who has spent the past 25 years growing the youth, social enterprise and innovation sectors. In 2012 she was named Australia’s inaugural Australian Financial Review and Westpac Woman of Influence. Jan has been awarded honorary degrees (honoris causa) from the University of Sydney (DLitt) and Murdoch University, Western Australia (DUniv); and was awarded membership to the Order of Australia in 2000. She is the author of Every Childhood Lasts a Lifetime (1996) and The Future Chasers (2014). 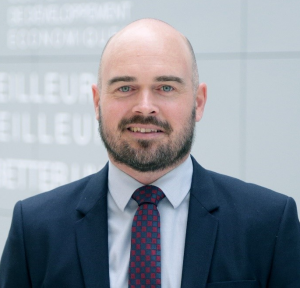 Jonathan Barr is the Head of the Employment and Skills Unit within the Local Employment, Skills, and Social Innovation Division of the Centre for Entrepreneurship, SMEs, Regions, and Cities (CFE) of the OECD. His work has been focused on the role of local labour market policies and skills strategies in fostering economic development. Jonathan coordinates the work of the OECD Forum for Local Development Practitioners, Entrepreneurs, and Social Innovators, OECD Reviews on Local Job Creation and the OECD’s Employment and Skills Strategies Initiative in Southeast Asia. Prior to joining the OECD, Jonathan worked for the Ontario government in Canada, where he led numerous policy projects related to employment, skills, and early childhood education, including the development of a provincial skills strategy. He also worked at the Canadian Mission to the European Union in Brussels, Belgium, supporting negotiations for a new Canada-European Comprehensive Economic and Trade Agreement. Jonathan has a Master of Public Administration from the University of Victoria in British Columbia, Canada. Nicolette is the Head of Human Resources for Siemens in the Australia Pacific region and also the Human Resources regional speaker for Siemens in ASEAN-Pacific. 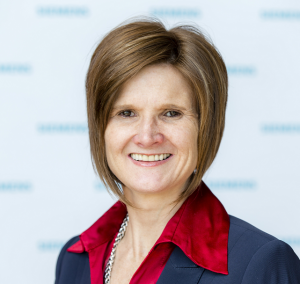 Nicolette began her career in HR in 1994, however joined Siemens in July 2001 in South Africa where she held various Human Resources functions with her last function being the Head of HR for Africa. She then relocated to join Siemens Australia in June 2011. During her tenure at Siemens she has implemented multiple best practice projects, both local and international, in various disciplines within the HR value chain. Over the last two years, Nicolette has been instrumental in the implementation of Australia’s first Industry 4.0 digital Apprenticeship in collaboration with Swinburne University and Ai Group. This first-of-its-kind apprenticeship has amongst other accolades, has won the National Australian Training Awards. Nicolette is also leading Siemens’ co-creation of Swinburne University’s Master of Human Resources Management course. 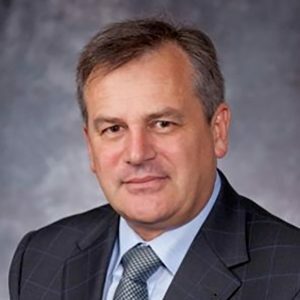 Professor Alex Zelinsky AO is Vice-Chancellor and President of the University of Newcastle. Prior to joining the University, Professor Zelinsky was Chief Defence Scientist, leading Defence Science and Technology. Prior to this, Professor Zelinsky was Group Executive for Information Sciences at CSIRO and was CEO and co-founder of Seeing Machines, a technology company focused on computer vision. Seeing Machines was startup from ANU where he was a Professor of Systems Engineering. Professor Zelinsky’s career spans innovation, science and technology, research and commercial startups and education. Professor Zelinsky has a Bachelor of Mathematical Sciences (Honours), Doctor of Philosophy and Honorary Doctor of Science from the University of Wollongong, is a Graduate of the Australian Institute of Company Directors and has completed the Advanced Management Program from Harvard University. Professor Zelinsky has received numerous national and international awards, including being appointed an Officer in the Order of Australia (AO) in 2017. Andrew began his career in the Royal Australian Air Force as a technician on aircraft avionics and test equipment. He subsequently undertook and completed a degree in Electrical and Computer Engineering at the Queensland University of Technology and commenced work as an engineer with Boeing Australia on the F-111 Avionics Update Program. Andrew then joined BAE Systems and was seconded to the United Kingdom to work as part of the design team for the Australian Hawk Lead-In-Fighter aircraft. Upon his return to Australia, Andrew took on various engineering roles, culminating in his appointment as the engineering manager for the Hawk Lead-In-Fighter. 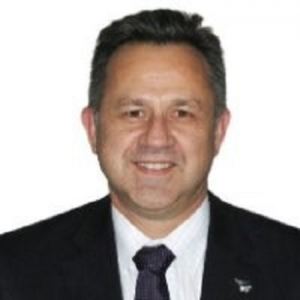 After being awarded BAE Systems’ Australia Engineer of the Year in 2009 and the Manager of the BAE Systems Engineering Team of the Year in 2010, Andrew was appointed as Head of Aerospace Engineering for BAE Systems Australia. In August 2017 he was appointed as F35 Campaign Manager and he took over as Aircraft Sustainment General Manager for BAE Systems at the beginning of 2019. The business supports RAAF F-35, Hawk Lead-In-Fighter and F/A-18 Hornet, as well as RAA and RAN Rotary Wing fleets, across Australia at four major locations. 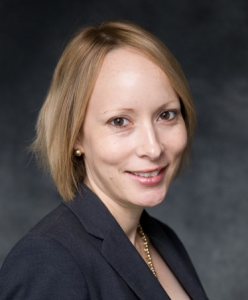 Claire Kluge is Boeing Defence Australia’s regional director for the Hunter and program manager for the company’s Classic Hornet Sustainment Support Program based in Williamtown, NSW. In her program manager role, Claire leads more than 230 employees in the delivery of all sustainment and upgrade activities on the Royal Australian Air Force’s (RAAF) fleet of Classic Hornet fighter aircraft. As Hunter regional director, she leads Boeing’s defence presence in the region and oversees operations associated with community engagement, local industry collaboration, educational partnerships and employee planning. Claire started her career as an engineering officer in the RAAF. On leaving the RAAF, she worked in both defence and commercial industries before joining Boeing in 2002. She brings together experience in defence, strategy, business development, sales, project management, business improvement and systems engineering to focus on operational excellence and community engagement in her current role for Boeing Defence Australia. Andrew Doyle joined Lockheed Martin Aeronautics in 2015 after a 29 year career in the Royal Australian Air Force. His present role encompasses the coordination and integration of Lockheed Martin sustainment services for the F-35 Lightning II Joint Strike Fighter aircraft in Australia, including the establishment of logistics support, field service engineering, maintenance support, training and information system support. Andrew’s previous career experience includes program management and technical leadership roles in the F/A-18 Hornet Mid-Life Upgrade Program, C-17 Globemaster Acquisition and managing the largest military aircraft depot site in Australia, providing airframe, propulsion and component maintenance repair overhaul and upgrade services. Andrew’s Air Force career culminated with a posting as Director Maintenance Safety and Airworthiness, where he was responsible for performance and governance oversight of the 4000 person RAAF technical workforce. Andrew has undergraduate and post-graduate degrees in Engineering, Management and Strategic Studies. 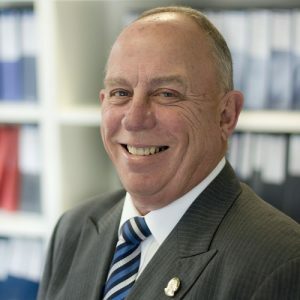 His professional achievements have been recognised through Membership in the Order of Australia, a Conspicuous Service Medal, appointment as a Fellow of the Institute of Engineers and attainment of Australian Institute of Project Management awards for project management and director roles. Andrew and his wife Judy have two teenage daughters. 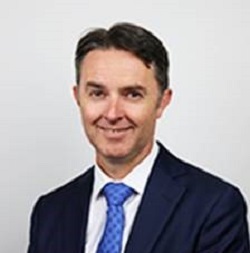 Martin Sainsbury is the Executive Director of People and Culture for NSW Health Pathology, the largest public pathology provider in Australia. NSW Health Pathology employs over 4,500 people in more than 60 laboratories across the state. 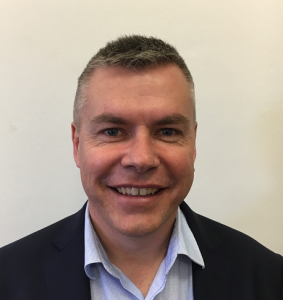 In his role Martin leads the human resources, training, organisational development, industrial relations, workplace safety, employee well-being, recruitment and workforce planning functions for the organisation. 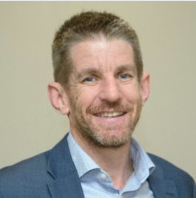 Martin has over 20 years experience in human resource roles across commonwealth and state government levels and has previously held roles with an employer association and a trade union. Martin has recently been appointed to the TAFE NSW North Region Regional Advisory Council. Martin has a Bachelor of Economics, a Bachelor of Law (Honours) and a Master of Labour Law and Relations. Martin and his wife Joanne have four children. Darren is a senior executive with the NSW Department of Primary Industries and leads their education program and Registered Training Organisation, Tocal College. As Principal of Tocal College, Darren oversees a state-wide program in agriculture and conservation and land management for rural industries. He also provides policy advice in education, agriculture and workforce development. Darren is the Director of the Tocal Agricultural Centre and is responsible for the 2,200 hectare property, its numerous commercial farming enterprises, and heritage precinct. He is also Chair of the Tocal Field Days Association. Darren is passionate about the future of agriculture, education and training, and land use planning. He has qualifications in agriculture, public sector management, and is a graduate of the Australian Institute of Company Directors. John Turner was born and raised in the Hunter Valley. He established a number of small businesses in Cessnock and a law firm, practising in East Maitland, Cessnock, Medowie and, for a time, in Singleton. He was elected to the Greater Cessnock City Council in 1980 and served two terms and a period as deputy mayor. In 1988, John was elected to the NSW Legislative Assembly as the Member for Myall Lakes. During the time in this position, he was Deputy Speaker of the NSW Parliament, chair and member of many parliamentary committees and was a shadow minister in twelve portfolio areas, including Hunter Development, Mineral Resources and Roads. Following his retirement from the NSW Parliament in 2011, John was appointed as Chairman of the NSW Local Government Acts Taskforce, assigned to rewrite the Local Government Act. He has also been a member of the Regional Intermodal Terminal Taskforce and was the Administrator of Midcoast Council. 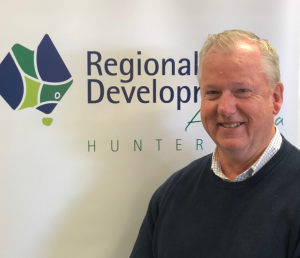 John was appointed Chair of Regional Development Australia Hunter in April 2018. He was previously Deputy Chair of the organisation.